Carlos Martínez does not have any MLB stats for the season. 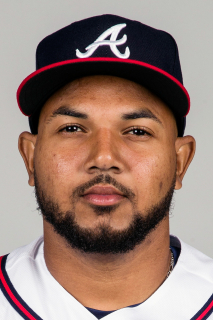 January 28, 2019 Atlanta Braves invited non-roster C Carlos Martinez to spring training. May 25, 2018 C Carlos Martinez assigned to Mississippi Braves from Rome Braves. March 13, 2018 C Carlos Martinez assigned to Atlanta Braves. May 22, 2017 C Carlos Martinez assigned to Rome Braves from Florida Fire Frogs. May 19, 2017 C Carlos Martinez assigned to Florida Fire Frogs from Danville Braves. May 13, 2017 C Carlos Martinez assigned to Danville Braves from Mississippi Braves. May 12, 2017 C Carlos Martinez assigned to Mississippi Braves from Danville Braves. March 28, 2016 C Carlos Martinez assigned to Atlanta Braves. June 19, 2015 C Carlos Martinez assigned to Danville Braves from GCL Braves. May 30, 2014 C Carlos Martinez assigned to GCL Braves from DSL Braves. May 31, 2013 C Carlos Martinez assigned to DSL Braves. November 21, 2012 Atlanta Braves signed free agent C Carlos Martinez to a minor league contract.